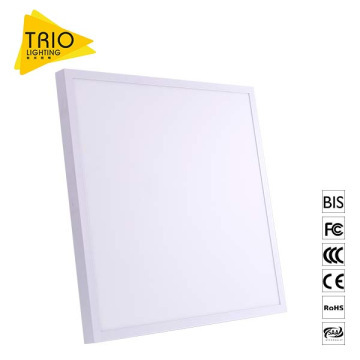 Lighting Panel, Down Light and etc..
1. High quality PMMA LGP, with better lighting transmittance. 2. Superior SMD2835 chip, high light efficiency and energy saving. 3. Unique frameless design, 600*600mm square appearance. 4. Isolated constant current driver, anti-corrosion with long lifespan. 5. Firm fixture design, easier recessed installation, more elegant. 6. High CRI≥80, luminous efficiency up to 100-105lm/w, stable running. 7. Different CCT for option: 3000-3500K/4000-4500K/6000-6500K. different types for option based on your request. Home Lighting: Living room, Kitchen, Toliet, Bedroom; Bathroom and etc.. Your Lighting Expert In OEM & ODM! 2. Cover area: About 20,000 square meters. experienced die casting technology and etc..
testing equipments, independent SMD assemble department and etc..
All our products will go through strict checks during production. 2. Lead Time: normally in 10-15 days after deposit received. 3. Sample policy: Samples are always availble for each model. 4. Shipping port: Zhongshan, China. 6. We can offer OEM and ODM service according to your requirement. and transportation in your purchasing. 1. We always ship quickly so that you will get goods fast! 2. Adopt high-quality vacuum bubble bag, safe and stable. 3. Space is filled with the foam paper, avoiding rocking damage. 4. Efficient delivery after order confirmed. We're always ready to serve you with passion and patience. 1. Q: Where is your company? Zhongshan City, Guangdong Province, China. Welcome to visit us! 2. Q: Can you arrange all shipping for me? make your purchasing more convenient. 3. Q: What are your advantages in manufacturing led luminaires? workshop covers an area of 13,000 square meters. 4. Q: Will you deliver the right goods as ordered? our service, you can tell us via e-mail or telephone. 6. Q: What is your main product line? COB commercial lighting and etc..
7. Q: If I have questions or any comment, how can I contact you? A: You can contact us online directly and send e-mail to consult us. 1. Express,2. Sea shipment,3. Air shipment,4.Other transportation is acceptable according to your requirement. We offer standard encasements for each products depending on their size. It also can be customized. TRIO Lighting was established in August 8, 2008. We are a professional manufacturer of panel light, downlight, COB commercial lighting and SKD.Our finished products workshop occupies 4,500 square meters, and die casting workshop covers an area of 13,000 square meters.We are specialized in OEM & ODM, and dedicated to be the manufacturer of innovative, high cost-effective and better performance products.We have won good reputation in lighting industry because of the personalized customization and strong product R have a number of patents and become a national high-tech enterprise. Our products have passed the certificates of RoHS, CE, BIS, SAA, FCC and CCC, and sell well in Europe , Australia , Asia, South Africa and etc..We adhere to the concept of innovative science and technology, energy conservation, environmental protection, high-quality after-sales, sincerely looking forward to cooperating with you ! 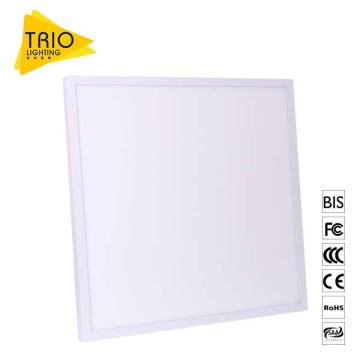 TRIO Lighting was established in August 8, 2008. We are a professional manufacturer of panel light, downlight, COB commercial lighting and SKD.Our finished products workshop occupies 4,500 square meters, and die casting workshop covers an area of 13,000 square meters.We are specialized in OEM & ODM, and dedicated to be the manufacturer of innovative, high cost-effective and better performance products.We have won good reputation in lighting industry because of the personalized customization and strong product R&D.We have a number of patents and become a national high-tech enterprise. Our products have passed the certificates of RoHS, CE, BIS, SAA, FCC and CCC, and sell well in Europe , Australia , Asia, South Africa and etc..We adhere to the concept of innovative science and technology, energy conservation, environmental protection, high-quality after-sales, sincerely looking forward to cooperating with you !